Train 177 is the only Rapid service that leaves from Bangkok's secondary railway station, Thonburi, on the Southern line to the town of Lang Suan in Chumphon province on the Gulf of Thailand. This service is faster than the Ordinary trains that leave Thonburi, with far fewer stops along the way, so is a good alternative for those travelling South to the beaches of the Gulf of Thailand. 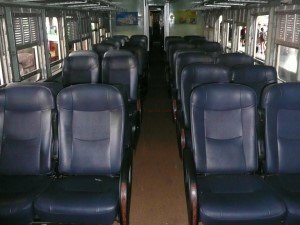 3rd Class Seats in fan cooled coaches. 2nd Class Seats in fan cooled coaches. 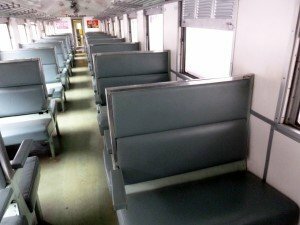 If you are heading South from Bangkok and want a sleeping berth, you will have to head to the main station in Bangkok, Hua Lamphong, where there is a much greater choice of departures on the Southern Line. Please note : the schedule on this page is for information only and may have changed before you travel. Telephoning the 24 hour SRT Call Centre on 1690 (within Thailand).